The Duke Blue Devils and Georgia Tech Yellow Jackets weren’t messing around on Saturday. The game was all knotted up at 7-7 following a Georgia Tech touchdown, and after the impending kickoff return, the two teams got into a slugfest. 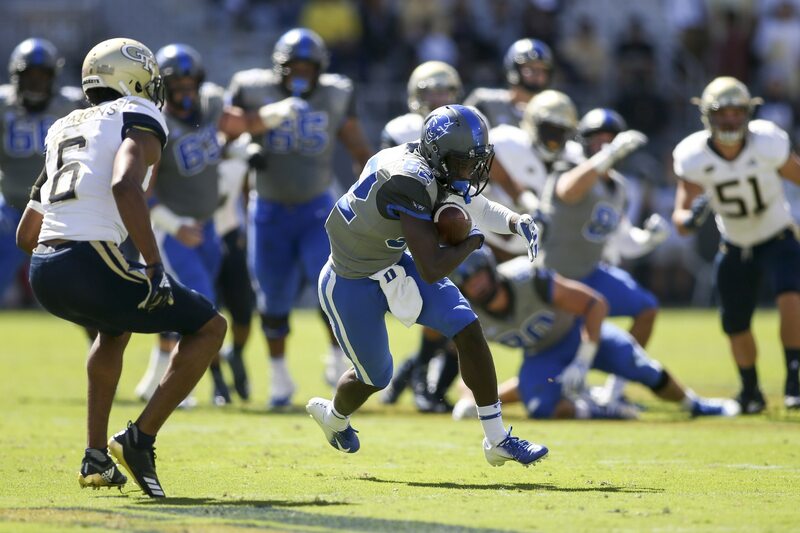 Duke’s Deon Jackson returned the ball to his own 36 yard line. That’s when players got into a heated exchange, which led to helmets being removed and punches being thrown. Georgia Tech linebacker Victor Alexander was ejected from the game. Duke’s Jacob Morgenstern was called for an unsportsmanlike conduct penalty, but he was not thrown out of the game. This wasn’t the only heated scene around the nation during the early games on Saturday, either.